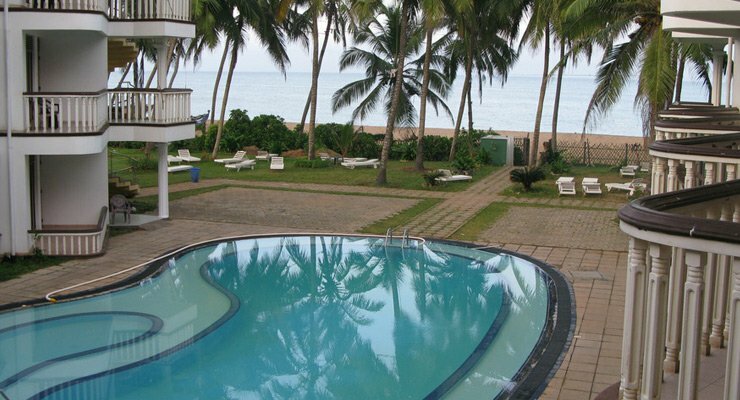 Olenka Sunside Beach Hotel - Marawila. Book your hotel now with RoomsBook. 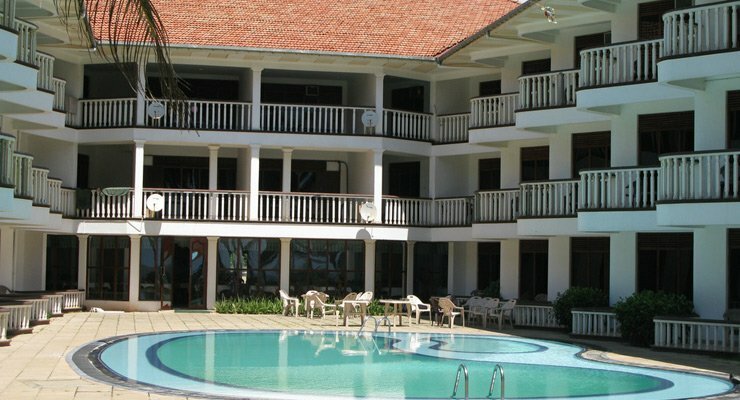 This is a hotel located just beside the beach overlooking the magnificent Indian ocean.Olenka Sunside Beach Hotel is situated in Moderawella, Marawila or the west coast of Sri Lanka 60km from the colombo and just 28Km from Bandaranayaka International Airport. It is elegantly situated overlooing the deep blue indian ocean where the gentle breeze of the trade winds will cool you while the hot tropical sun or the lush green vegetation will make you wonder whether this is island heaven. We are a recently opened hotel with 38 double and twin rooms with four luxury suites elegently furnished with air condition, ceiling fan, hot and cold showers,mini fridge and TV provided on request. All Rooms Are Air Conditioned, Ceilling Fan, Hot And Cold Showers, Mini Fridge And Television Provided On Request.Western - Eastern - Exotic Oriental Cuisine With Traditional Sri Lankan Dishes, A’la Carte, Set Menu With Seafood Speciality Including B.B.Q Buffet On The Card. Well Stocked Bar With Premier Brands Of Foreign And Local Liquor - Varienties Of Tantalizing Cocktails With Wide Range Of Wines And Cham. Indoor Games Such As Table Tennis, Dart, Carrom To Mention A Few And Beach Vollyball, Cycling, Fishing And Boating Etc. Live Entertainment With Western And Calypso Music During The Peak Of The Season And For Special Functions Including Magic Shows, Fire Limbo Camp Fire And So On.